Business Source 42121 Catalog Envelope - 10" x 13"
Catalog envelopes feature an adhesive strip protected by a removable paper liner. Simply remove the liner and press the flap closed for a quick, clean seal upon contact without moistening. Paper liner keeps adhesive free of dust. 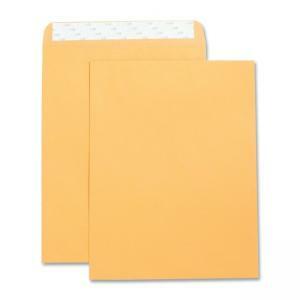 Envelopes are made of white wove material. 28 lb.